use the contact form for more informations. Publications from 2008 until today. Texts: Ivan Henriques, Taconis Stolk, Vincent W.J. van Gerven Oei, Guto Nóbrega, Laura Cinti, Matteo Marangoni, Angelo Vermeulen and Koert van Mensvoort, 2011. I was planning to post this interview next week but because Ivan Henriques‘s action plant is yet another brilliant work on show at ArtBots Gent this weekend, i thought it would be silly to wait and not promote the event with a timely post. Ivan Henriques worked with professor Bert van Duijn (Biology University and Hortus Botanicus in Leiden) on a research into the “action potential” of the Mimosa Pudica. The result of their collaboration is Jurema Action Plant, a machine which interfaces a sensitive plant (Mimosa Pudica), enabling it to enjoy technologies similar to the ones humans use. The project also explores new ways of communication and co-relation between machines, humans, and other living organism. If the plants can fell the touch and this signal travels inside the plant and be can be measured in any part, does it means that plants have memory, consciousness? Imagine if we could communicate with plants and work together. Is it possible to reshape and redefine our tools to be coherent with the environment? Would we keep on destroying the few existent plants/animals and forests? Hi Ivan! How did you get the idea and why did you want to build this plant-machine and give some power to the plants? 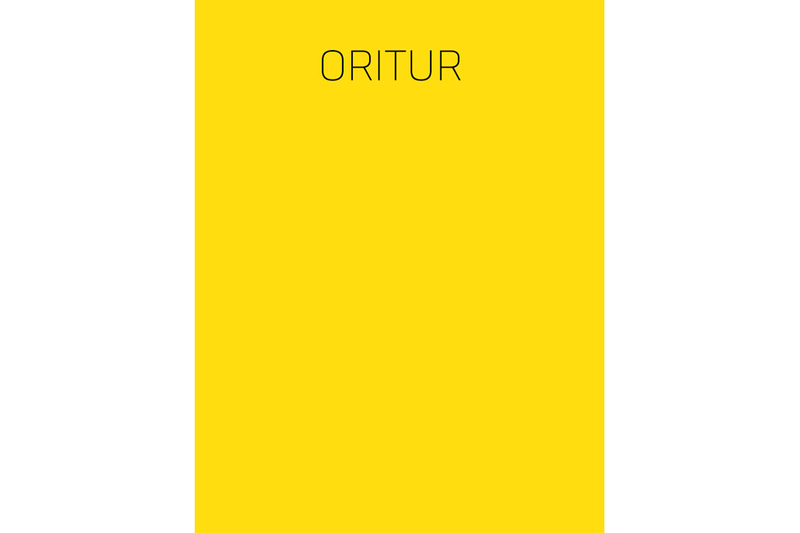 The main idea of empowering the plant comes from a range of work that I am developing called Oritur(Oritur is also the title of the book which is a compilation of texts from myself and invited artists and researchers from different countries – it will be published soon by Verbeke Foundation). Are the mechanics found in some plants species an intelligence? Do plants feel? How do they respond to the environment? Are plants considered in a lower level than us because they don’t move and communicate in the same timescale as ours? My position in Jurema Action Plant is to explore plant behavior, research this intelligence to find possibilities for direct interaction and create a work which makes people think about our future. You’re going to spend several months at the Verbeke Foundation for a residency. What are you going to work on there? At the moment I am rebuilding a piece called Three Seconds which will be part of Verbeke’s collection. It is composed of a closed circuit where a video camera, which faces and captures images from a rectangular aquarium containing a live Goldfish, the image is transmitted to a monitor, which has the same proportions of the aquarium and also faces it. Between the camera and the monitor there is an apparatus, which gives a three second delay to the live image. In this way the fish, which as we know has a three second memory-span, can see its recent past, which it would otherwise not be able to reach. I am very exited to start the residency at Verbeke foundation (which will complete two weeks October 11th) and I have several ideas which are in a cloud of concepts such as architecture, recycle, interaction, biology, evolution, utopia, movement, kinetics and living organisms. You worked with professor Bert van Duijn from the Biology University and the Hortus Botanicus, in Leiden, to develop the action plant. How was the collaboration going? Do you find it easy as an artist to communicate with a scientist? Do you use the same language, for example? Do you have to adjust to each other’s way of working and thinking about nature? While researching about plants mechanics, physiology and biodynamics, I had the opportunity to meet professor Bert van Duijn who uses a technique called action potential to measure electrical signals that travels inside the plant for agricultural purposes. Through professor van Duijn I met the organization from Hortus Botanicus Leiden which opened their doors to my research about this specific plant and helped me seed the Mimosas. We had to adjust our vocabulary and tools all the time and the whole team had different perspectives and goals when working with nature. Can you also tell us something about the rhythm of the plant? Sometimes it rests, it doesn’t react as fast as the machines we are used to (from toaster to robot)… Do you think humans are ready to accept and respect this ‘slowness’ of the machine? Much like humans, animals and machines, plants have an electrical signal traveling inside them, but they do not have nerves like humans and animals; nor wires and cables like machines. Plants are completely independent and can exist without humans, but humans and animals need plants to survive. They are also moving, to extend their territory, but on a very different timescale to ours. Jurema Action Plant has its own time, it is an equalization of ourselves, machines and plants. In my opinion we have to re-think about the machines we develop and the concept of bio-sensors. There are plenty of machines in the world and we keep on making them. Do you know where these electronic components comes from, how they are made and in which conditions? Why not re-use? The machines we create are coherent within themselves but I think that our machines could be much more coherent to the environment. JAP is a prototype of machines for our future, where we can communicate with all the specimens at the same level to achieve a common evolution. Even if we have signs of a catastrophe in the next future due to global warming, war, deforestation, population growth and a very strong economical difference from place to place, I believe in a good future. The problem is not the technological development, but who is in charge of researches, innovations and changes. What are you doing when you’re not working on Jurema Action Plant? I have some projects going on and I’m preparing new ones, making drawings, graphics, researching about kinetic architectures and motors that run with very low voltage and current. I am also preparing the third edition of EME – Estúdio Móvel Experimental (first edition 2009 and second in 2010), a mobile residency in Rio de Janeiro that works as a platform for artists and researchers to explore and create public artworks/workshops in the natural and urban environment in Rio. This year’s ArtBots is organised by timelab Gent, in cooperation with ArtBots US, Ugent and Foam. It’s open only over the upcoming weekend in Ghent, Belgium.